The new operating system improves substantially on Windows 7, but Microsoft’s efforts to woo mobile-device users may leave traditional desktop PC owners feeling abandoned. Reviewing an operating system is an odd endeavor, because people don’t really use operating systems; they use applications. The OS should be as transparent as possible, acting as a platform for applications. In today’s cloud-driven world, however, the notion that your application will run in a single OS is tenuous at best. Toss in the increasing use of smart devices, whether phones or tablets, and the idea of a single-platform operating system is less relevant now than it was just a few years ago. These days we have “ecosystems” – Microsoft, Apple, or Google, take your pick. 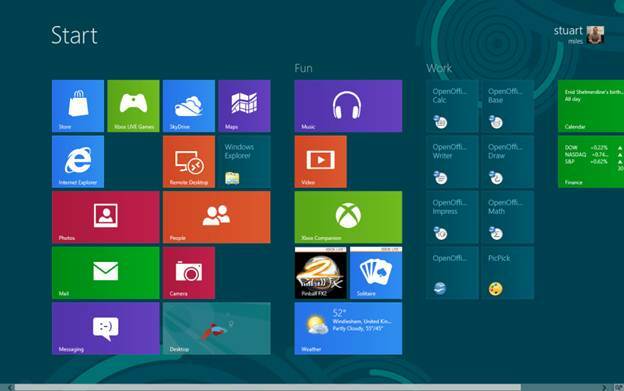 Can Windows 8 meet its goal of being one aspect of a new Microsoft ecosystem while maintaining its roots in the PC? Can existing computers run Windows 8 without the need for expensive new touch displays? 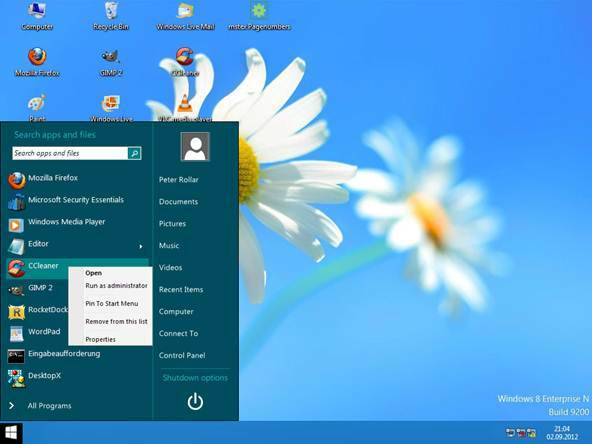 Will the revamped Windows 8 user interface turn off existing Windows users, or pull them into the ecosystem? I’ll try to answer those questions and others as I dive deeply into Windows 8. This review is based on the Windows 8 final release – what Microsoft calls the “release to manufacturing,” or RTM, version. The final release is available to Microsoft TechNet and MSDN subscribers. Desktop PCs, laptops, and tablets will ship with Windows 8 preinstalled on the official launch day, October 26. We ran Windows 8 on a moderately high-end desktop system along with a standard (nontouch) monitor, mouse, and key-board. We also used Samsung Series 9 laptop with an Elan touchpad supporting full multitouch gestures. However, not all desktop applications appear on the start screen by default. Some accessory apps, such as Paint, live in the Apps screen. You can force these programs to appear in the Start screen by right0clicking them to select them and then clicking Pin to Start at the bottom of the screen. Nevertheless, getting to the Apps screen is simple: Right-click a blank area in the Start screen and then click the All apps icon at the lower right. Live tiles are among the key features of the Windows 8 Start screen. While normal (non-live) tiles measure 150 by 150 pixels, most live tiles are double-wide (310 by 150 pixels), and display dynamic information. The People tile, for instance, shows you tweets and Facebook posts from your feeds, assuming that you’ve set them up. As you install apps from the Microsoft Store, more dynamic tiles may appear. Live tiles first appeared in a broad fashion in Windows Phone 7 and Xbox 360 updates, but will exist across all Microsoft platforms going forward.